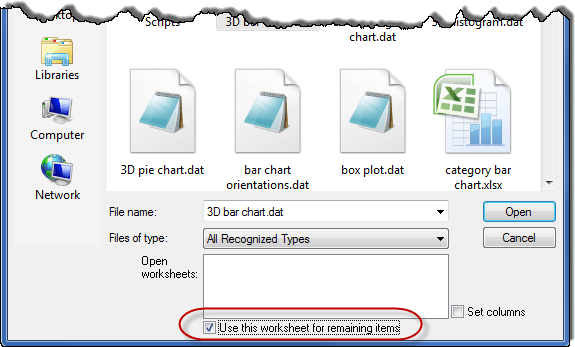 In Grapher, when you open a template file, you are prompted for a worksheet. At the bottom of this dialog box, there is a Use this worksheet for remaining items check box. Check the box, select the worksheet, and click Open. All of the curves will use the same worksheet. Check the box to use this worksheet for all curves in the template.